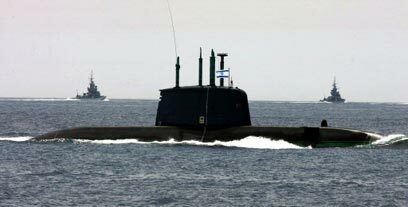 The IDF now demands that new candidates for service in Israel's submarine fleet waive their foreign citizenship in order to join the elite unit. The demand to concede one's dual citizenship is made at certain IDF combat units and for posts requiring high security clearance. Submarine fleet recruits receive a notification stating they must renounce their foreign citizenships in order to qualify for the prolonged training, as part of their security screenings. The recent move raised strong opposition among fleet reserve officers,who claim that the new requirement will limit the number of volunteers to the unit. "This is absurd. Many excellent recruits hold a dual citizenship but wish to serve in an elite unit such as submarine fleet,"an ex-officer said. "In a country that fights for every recruit, especially for elite units, this demand should not be made. Soldiers serve for only a few years, and must not pay by losing the foreign citizenship that can be used later in life." Security officials say that in recent years there was a decline in number of units that demand a foreign citizenship waiver as part of the security clearance process. The criteria for receiving a security clearance are decided by the units, the Shin Bet and the National Security Council, according to the level of exposure to classified materials during one's service. In many combat units, candidates are required to declare any foreign citizenship, but not to renounce it. According to the international media, IDF submarines operate in foreign waters, far from Israel's borders. The IDF Spokesman's Office issued the following statement in response to the story: "For information security purposes, soldiers serving in certain IDF units are required to meet strict criteria". See all talkbacks "IDF submarine fleet bans dual citizenship"